The federal President of Germany is the German head of state. On paper that makes him the most powerful political figure in Germany. His main responsibilities and actions are, however, mostly representative and ceremonial. The President of Germany is not directly involved in making laws or political decisions which stir the country in one direction or the other. His role in German politics is rather that of a watcher or public conscience. So, what does the President of Germany do? This is the standard of the President of Germany. 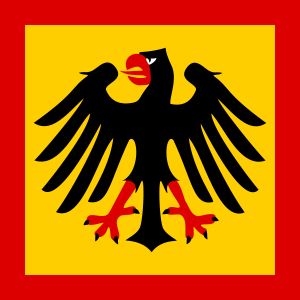 It is kind of like his own flag, depicting a black eagle, which is a German coat of arms used for example on coins or in the military. State visits and foreign representation: As first ambassador the President of Germany travels to a lot of different countries to establish and strengthen bi- or multinational relations. These relations are mainly symbolic, social and cultural, because he cannot independently sign treaties for Germany. President Horst Köhler for example was known for his commitment for developing countries in Africa while in office between 2004 and 2010. All laws that are passed in parliament must be signed by the President of Germany to become effective. Only in a select few cases the president decided not to wave them through. When he did, the reason was either that he thought the law would break German Basic Law or because certain formalities had not been met. After elections the President of Germany suggests the Chancellor and appoints the various other members of the government. He also appoints and dismisses federal judges, high-ranking military personnel and other officials. He may also dissolute the parliament if no stable government can be formed or a vote of confidence is defeated. Where does the president of Germany live? Because Germany was split into East and West Germany after the Second World War, there are now two official residences. One is the Bellevue Palace (“Schloss Bellevue”), a neoclassical palace in Berlin (“belle vue” is French and translates into “beautiful view”). The other official residence of the President of Germany is Villa Hammerschmidt in Bonn. Bonn was the capital of West Germany until German reunification in 1990 and then succeeded by Berlin as federal capital for the whole country. 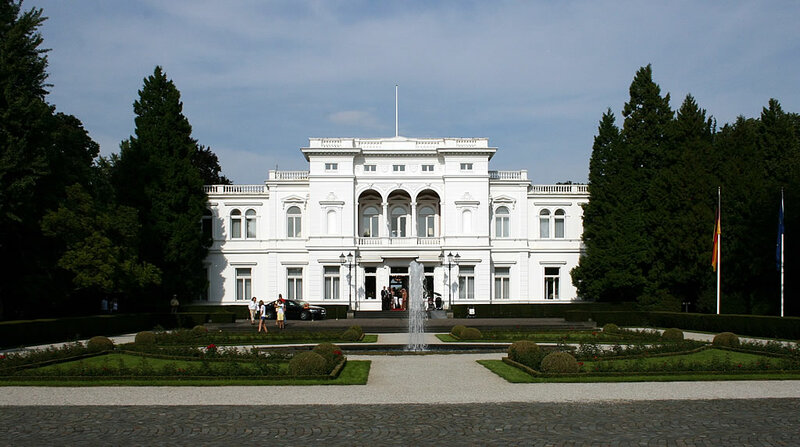 Villa Hammerschmidt is the residence of the President of Germany in Bonn (credits: Sir James). Although the two buildings are official residences, most Presidents chose to maintain their own apartments somewhere else in Germany. President Roman Herzog (1994-1999) was the only one who actually lived in the Bellevue Palace. The official residences are rather used as offices, for receptions and other official events. Who elects the President of Germany? To become a presidential candidate a few conditions must be met: The President of Germany must be a German citizen, at least 40 years old, and not be employed by or own any business. He cannot be part of the elected government. The President of Germany is elected in a Federal Convention (Bundesversammlung). The Federal Convention consists of the members of the parliament and an equal amount of delegates elected from the different federal states. These delegates can be either politicians, but more often as not they are notable personalities and celebrities from all over the country. Because the President of Germany is elected secretly, the delegates are not bound to vote for the candidate their particular party favors. The President of Germany has an official website with more information, current speeches and events: www.bundespraesident.de (information available in English as well). Who has been President of Germany? There have been 10 Presidents altogether after World War II. I will write another blog post, listing the names of previous Presidents and their accomplistments. I will link to the article from here once it is written. Hi, my name is Mirco and I’m collecting snippets of information about Germany for you that you won’t find in travel guides or history books. Whether you are travelling to Germany, are a student of German, have German ancestors or are simply curious about the country – this blog is for you.